The linkage signal between DNA markers and causal variants breaks down over generations due to recombination (switching) between paternal and maternal chromosomes. Because this linkage breaks down over time is part of the reason genomic predicitons don't work well across breeds. When we train a prediction in Angus and use the predictions in Red Angus, the predictive ability of the genomic prediction goes down significantly. Table 1. 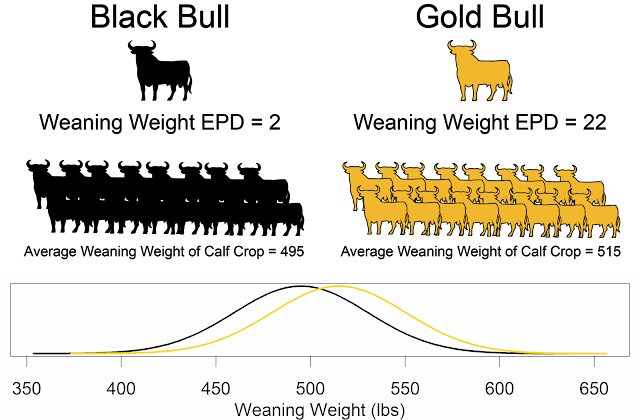 Correlations from genomic predictions trained in Angus and used in Angus or Red Angus. As we have additional whole genome (entire DNA) sequencing data, we will discover more DNA variants that affect the composition (sequence) or length of proteins. Many of these broken genes will likely affect fertility. As we discover variants that appear to affect the function of proteins or are causal variants, we will need to use different methods to fully utilize this information. These DNA variants will need to be weighted differently in the genomic prediction, or genomic predictions will need to fit multiple classes of variants. USDA has started a selection experiment in which they are selecting against variants that cause the protein coded by the gene not to function properly. The first calves from this experiment will be born in the spring. 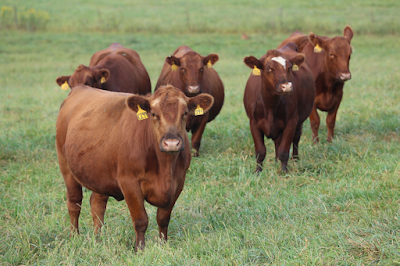 Kuehn and coworkers believe that functional variants offers new opportunities for national cattle evaluation.